Two Counties Seceding from California…New State of Jefferson In the Works! A second Northern California county has voted to secede from the state after Modoc County supervisors voted 4-0 in favor of secession. The vote on Friday comes just weeks after neighboring Siskiyou County voted for secession, according to the Record Searchlight of Redding. 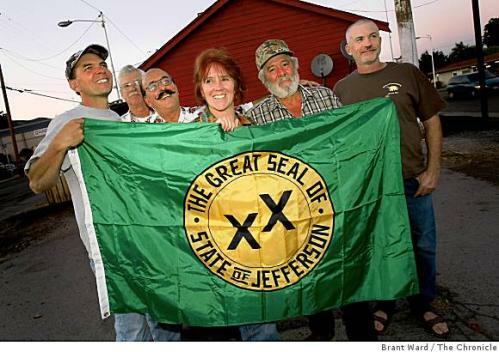 The goal is to form a separate state called Jefferson that would also include parts of Southern Oregon. A group spearheading the secession effort said the goal is to get a dozen counties to commit before asking California’s legislators to allow the formation of a new state.